This board added Bluetooth 5.0 DAC module that built in QCC3003 (Bluetooth 5.0) and TI DAC IC PCM5102A. The standard configuration of finished tone boards is 2pcs TI-NE5532, whose advantage is cheaper and low-frequency is full. 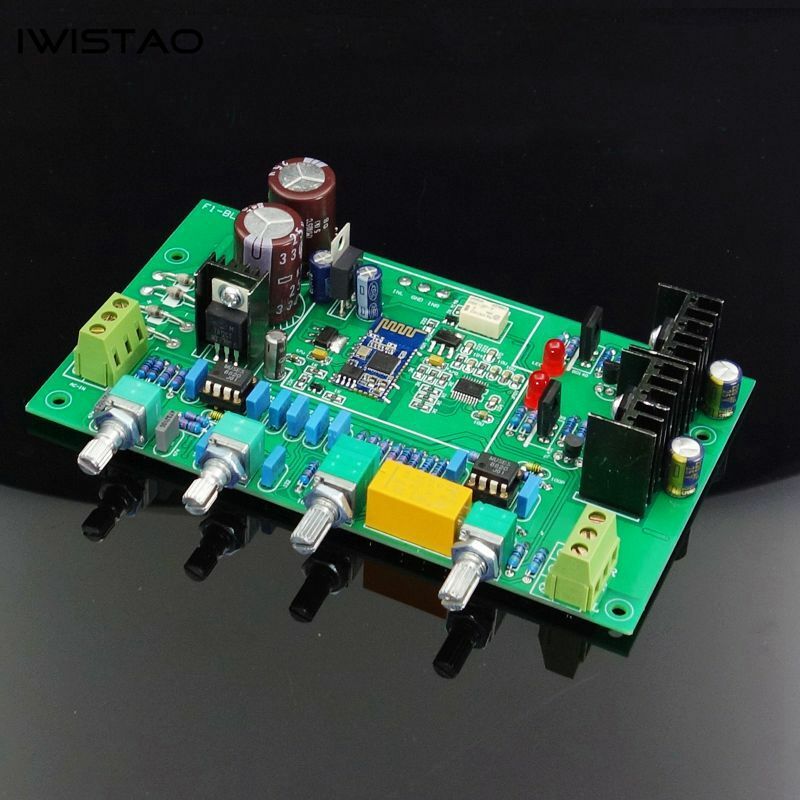 But a coupling capacitor will be added when NE5532 connection power amplifier class, because its midpoint output voltage of NE5532is higher than OPA series IC, then protection circuit may be triggered due to its sensitive. Used with high-end components and parts, like as Phi lips’ capacitor, Class A Power adopt HIFI transistors for BC139, BD140 plus TL431, Germany WIMA ERO capacitors, Sie mens and other high capacitors, high speed rectifier, copper pins resistance…, to ensure high quality product. There are 2 op amps on the PCBA, 1 is responsible for preamplification, and 1 is responsible for tone adjustment. Also built-in a gold-plated Op amp jack, support customers to replace or mix dual op amp IC freely according to their needs, such as those higher grade IC MUSES 8902, MUSES 02, gold-sealed LME49720HA or other high-end OP IC. And we provide the versions for LME49720HA, OPA2604, MUS8902, metal seal LME49720HA. AD827 op amp need match with 10K potentiometers if you insect AD827. Other op amp match 100K potentiometers is OK.